Speaking at a Tea Party rally in a Tampa, Florida Church, on Sunday, Rep. Michele Bachmann (R-Minnesota) linked Hurricane Isaac to religious and political talking points (video below), reports Mediaite.com. Bachmann said: “At this moment in time we’re quite literally looking at a hurricane here in Florida. We’re looking at a political hurricane in our own country. We are looking at a spiritual hurricane in our land. And it is time for each one of us to show up and suit up and stand up and realize that in this time and in this day we pour it out for Him. Add action to your faith." 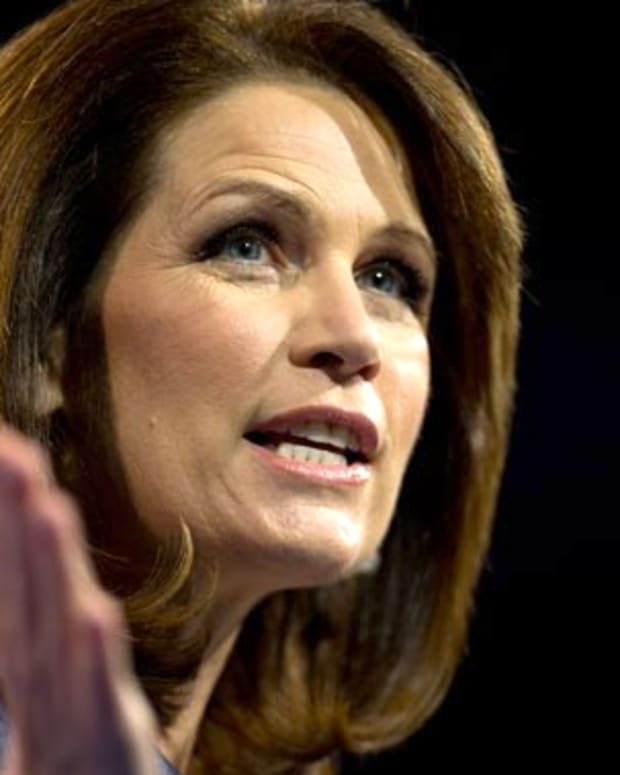 Video: Michele Bachmann Joking about Hurricane Irene Being Message From God?